When we think about yoga as a practice, we usually imagine a woman striking a pose and it seems so natural to us. Now, try to imagine a man doing yoga – it is a bit difficult, right? Why is that so? We have been showered with images of elastic women bodies in poses that are enhancing their femininity so much that an image of a man in similar poses seems simply too feminine. The truth is, though, that gender should have nothing to do with yoga, and it has been so ever since this ancient Eastern practice was developed. If you need some more „myth busting“, we will dig in even deeper. From Eastern traditional perspective, the discipline of yoga has both masculine and feminine qualities, where the feminine qualities should be receptivity, compassion and intuition, while the masculine ones are thought to be mental discipline, drive for knowledge and physical mastery. This does not necessarily means that men are prone to mental discipline and women to compassion, but that we all have masculine and feminine qualities, regardless of our gender, but they are not always in balance in yoga practice. The goal is to integrate both of those qualities and be dynamic and calm, strong and soft, etc. 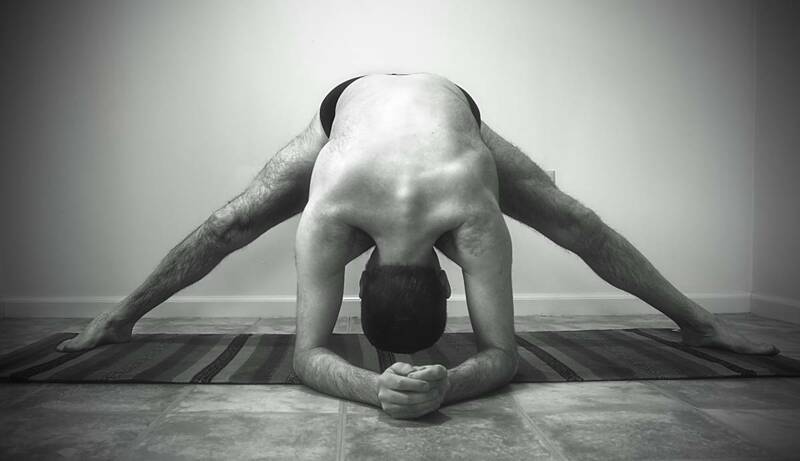 Many men have the barrier towards yoga, not only because they consider it to be feminine, but also because they think of it as either “too hard” or “too easy”. Actually, yoga is somewhere in between. You do not have to be extraordinary flexible to do yoga. As a matter of fact, the whole point of yoga is to improve your flexibility, but also to enhance your range of motion and be a supplement to your regular strength training. It is also difficult enough to keep your body challenged, so in some cases, especially if you have a history of injuries, you will need an instructor with yoga certification to guide you through your beginner days. How Can Even the Manliest Men Benefit from Yoga? Yoga will help you overcome your limitations and become fully aware of your body and its possibilities. You will actually feel the muscles you did not even know were there. In fact, several studies have pointed out the link between practising yoga and self-confidence. One of the most frequently mentioned benefits of yoga is its ability to relieve stress. Many men have exhausting, stressful and even dangerous jobs, and yoga can help you take control over your emotions. Yoga can help you improve your posture through a variety of aligning postures, by correcting the position of your pelvis and scapula. Through yoga, you can also learn how to breathe correctly, relax your shoulders and express your masculinity with confident posture. The Pratyahara, one of the eight limbs of practising yoga, is helping you improve concentration by turning your attention inside and relieving you from the distractions around you. Furthermore, all of the previous benefits will contribute to improvement in focus and encouragement to pursue your dreams and goals. This can help you with your career, but also with your personal life. The Asanas (body postures) are involving different muscle groups and creating strength in balance, which makes yoga an excellent strength training, too. Yoga can significantly improve your balance which can add up to better sports performance. Practising yoga can do much more than enhance your physical balance, it can give you the balance we all strive for – the one between the mind and body, which is the key to a happier and fulfilled life. Now when that myth is busted, it is time to get down on the mat and strike a pose. Peter is editor at High Style Life magazine, a yoga enthusiast and fitness lover. He is dedicated to healthy living, exercising and spending time outdoors as much as possible. A firm believer in healthy diet, natural smoothies and energy healthy drinks for overall health benefits, Peter is powered by true motivation in all aspects of yoga and fitness-ing. He hopes to run his own yoga and fitness center someday. You can follow Peter on Twitter. This entry was posted in contributor, Lifestyle, yoga and tagged contributor, feminine, guest post, masculin, yoga by Stefan. Bookmark the permalink.